Alexey Navalny is a Russian politician, lawyer and founder of the Anti-Corruption Foundation. In 2017, he held a campaign to be admitted to the presidential elections, which became the most important political event in Russia's modern history. Navalny's deeds and achievements, which are all listed below in detail, speak for themselves. Alexey Navalny was born on June 4, 1976 in the village of Butyn near Moscow in the family of a military officer; in his childhood, he travelled a lot from one garrison town to another with his family. Alexey's parents, Anatoly Ivanovich and Lyudmila Ivanovna, are retired now. Alexey Navalny has two higher education degrees. In 1997, he graduated from the People's Friendship University of Russia (lawyer), and in 2001 — from the Finance Academy under the Government of the Russian Federation (economist). While studying for his second degree, he also worked as a lawyer. Navalny founded the «Muscovite protection committee». This movement united over 100 initiative groups of opponents of the infill development. It achieved cancellation of a number of constructions that were harming the residents of nearby houses. 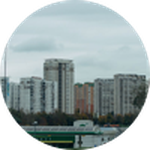 For the past 20 years, Alexey has been living in a 3-room apartment in Maryino District, in the southeast of Moscow. He is married to Yulia Navalnaya and has two children, Daria (16) and Zakhar (10). They both study at a municipal school. In 2008, Navalny first became known to the general public when he published the proofs of embezzlement of funds by Russia's major state corporations. As a lawyer, he founded the «Union of minority shareholders» and conducted the trials against Gazprom, Rosneft, Transneft and Gazpromneft to achieve transparency and accountability of these companies to the common shareholders. Over 70 billion rubles have been kept in Russia's state budget through the efforts of «RosPil»'s lawyers. This is the total value of the procurements and tenders that Navalny's team has successfully challenged in courts, having them ruled illegal. Alexey Navalny created the Anti-Corruption Foundation (ACF) — the largest independent public anti-corruption organization in the country. Right now, ACF has around 30 employees (lawyers, economists, etc. ), and hundreds of volunteers across the country assist the foundation. ACF drafts bills aimed against corruption and officials' high-handedness, publishes investigations and documents revealing the truth about the illicit enrichment of deputies and ministers. Thanks to ACF's work, millions of Russians have learned the truth about the scale of high-handedness and thievery in the ruling circles. 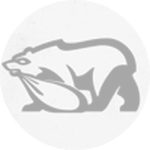 In 2011, Alexey Navalny coined the famous slogan «United Russia» is a party of crooks and thieves' and started the public campaign «Vote for any party other that «United Russia». This campaign gained nationwide support, and the government had to resort to a massive rigging of the elections in order to ensure that «United Russia» gets the majority of seats in the State Duma. Alexey Navalny drafted a bill that would forbid government officials to purchase foreign cars worth over 1.5 million rubles. For the first time in Russia's history, a bill has gathered 100 thousand electronic signatures in its support. As a result, Russian government adopted a regulation that forbids officials to purchase expensive cars at public expense. Apart from the anti-corruption investigations, Navalny's work within the ACF framework included a number of social projects aimed at organizing public control over the quality of roads and utility services. Thanks to the «RosYama» service, over 20,000 drivers across Russia were able to file their complaints about bad roads and force local authorities to replace the roadway. Thanks to the «RosZhKKh» project, over 100,00 complaints were filed about violations in the maintenance of communal facilities. Tens of thousands of users have managed to make the authorities clean the entrance halls regularly, repair the heating systems and solve other communal problems. Alexey Navalny participated in the Moscow mayoral elections. According to the official data, he received over 27% of the vote. He was supported by more Muscovites that the KPRF, LDPR, SR and Yabloko candidates combined. During his election campaign, Navalny conducted over 100 meetings with the voters, visited all the districts of Moscow and achieved solutions to thousands of Muscovites» problems. Alexey Navalny's anti-corruption protests have stirred up a hornet«s nest of crooked thievish officials. The government responded through proven methods: propaganda, mud-slinging, planted TV reports that declared Navalny an «public enemy». This didn't stop him, so the officials started to frame up criminal cases against Navalny. The sentence on the most controversial of these cases, the «Kirovles case», was overturned first by the European Court of Human Rights, and then by the Supreme Court of Russia. Nevertheless, the government continues to put pressure on Navalny and his family: his younger brother Oleg was arrested on a false charge, Alexey's apartment was searched multiple times, he has spent over a year under house arrest. But Alexey Navalny has said many times: all this pressure will never force him to stop fighting for truth and justice. Alexey Navalny and ACF took the fight against corruption to a new level by developing and launching a non-governmental legislative initiative on ratification by Russia of Article 20 of the UN Convention against corruption, which forbids illicit enrichment. The essence of this article is establishing compulsory control not only over the officials' incomes, but over their expenditures as well. According to Navalny's initiative, any official who is unable to explain the sources of the money he spends on yachts, mansions, private jets and other luxury items, must face prosecution. Over 100 thousand Russians expressed their support of Navalny's bill, and, although the officials still prefer to ignore this initiative, the public campaign against illicit enrichment continues. The Anti-Corruption Foundation published the documentary «Chaika», in which Navalny proved that the Prosecutor General of Russia Yuri Chaika had connections to the Tsapok gang from Kushchovskaya village. The film tells about the activities of Chaika's entire family (which is essentially a criminal clan), his sons» sources of enrichment and the business empire they've built through illegal methods. The documentary has amassed 5 million views and received a number of professional prizes and awards. Alexey Navalny is a professional lawyer. Before becoming a famous politician, he used to work as an attorney. The unlawful prosecution has led to Navalny's attorney license being revoked. Despite that, he continues to work as a lawyer: he represents and protects the interests of Russian citizens in the ECHR, often winning the cases and ensuring the restoration of justice and compensation payments for unlawful court decisions. Alexey Navalny expands the format of documentary videos about the corruption among the senior government officials. As such, he published materials about the Deputy PM Igor Shuvalov, whose wife transports her corgis to international dog shows on a private jet, while Shuvalov himself buys a luxury apartment in Moscow with a total area of over 1000 square meters. Navalny was also the first person to tell the whole country about the huge country house of Prime Minister Dmity Medvedev worth 30 billion rubles, which was built and presented to him by gas oligarchs. Alexey Navalny launches a campaign for fair and open presidential elections in Russia — the elections where all candidates will be able to participate. Where the winner will be determined not through the administrative resource, but only through the will of the voters. Where different approaches to the country's future will be discussed. 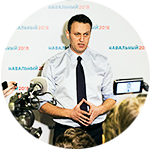 Navalny nominates himself in order to present his program of Russia's development, and he's ready to defend it in a fair and equal debate with any opponent. Within the first 4 month of Alexey Navalny's election campaign, 19 campaign HQs were opened across Russia. Over 80,000 people signed up as volunteers. Over 380,000 signatures were gathered in support of Navalny's nomination, and over 39 million rubles of donations were gathered. 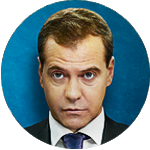 In 2017, Alexey Navalny and the Anti-Corruption Foundation publish the investigation movie «Don't Call Him Dimon» about the «secret empire» of the Prime Minister Dmitry Medvedev. It contains proof that the head of the government and his trustees have created a corrupt network of charity foundations that received billions of rubles from oligarchs. This money was used to buy yachts and build residences, villas and vineyards. «Don't Call Him Dimon» was watched by over 25 million Russians. On March 26, protests took place in 84 Russian cities. The protesters demanded an official reaction to Navalny's investigation from the government. 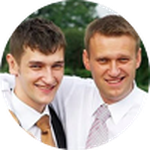 ​In December, Alexey published his campaign platform. 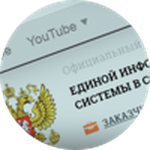 It consists of the policy article «Beautiful Russia of the Future», the description of suggested changes in various spheres and a set of videos about specific people, whose life can become better if Navalny gets elected. The main points of the platform are the fight against corruption, reduction of inequality, assistance in purchase of real estate, reduction of the mortgage rate, increase of medicine and healthcare expenditures, simplification of business operations and reduction of taxes for small business owners, deregulation and red tape reduction, redistribution of funds and authority in favor of the regions. 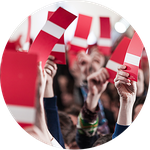 On December 24, voter gatherings took place in 20 cities. At these gatherings, people nominated Alexey Navalny as a presidential candidate. According to the law, for the nomination to be valid, a group of at least 500 people is required to vote for the candidate's nomination in the presence of the representatives of the central electoral commission. Navalny's HQ decided to organize such gatherings across the country, so in total, over 15,000 people officially expressed their support of Alexey's presidential nomination. The same day, the lawyers gathered all the necessary documents and submitted them to the CEC. On December 25, CEC refused to register Navalny as a presidential candidate. 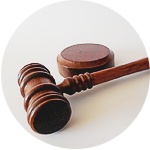 The formal reason for that was the previous conviction on the fabricated «Kirovles case». CEC's decision was politically motivated and contradicted the Constitution. Navalny's HQ appealed against it to the Supreme Court, but it kept the decision in force. Immediately after the court session, Navalny declared a voter strike — an ongoing act of civil protest against the cheating at the elections.